Meeting minutes samples helps to record discussions, decisions, action plans and views of the attendees during meetings. 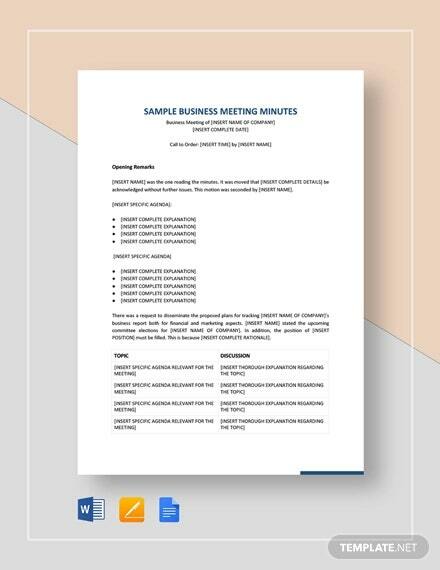 These minutes of template provide varieties of formats like excel, word, PDF and for various purposes like sales Meeting Minutes Templates, corporate meeting, status update meetings, etc. They help the management to review the action plans easily and assign responsibilities to the employees. To know more about these templates, one can search Google using “informal meeting minutes template”, “free Meeting Minutes Templates” or “project meeting minutes template”. 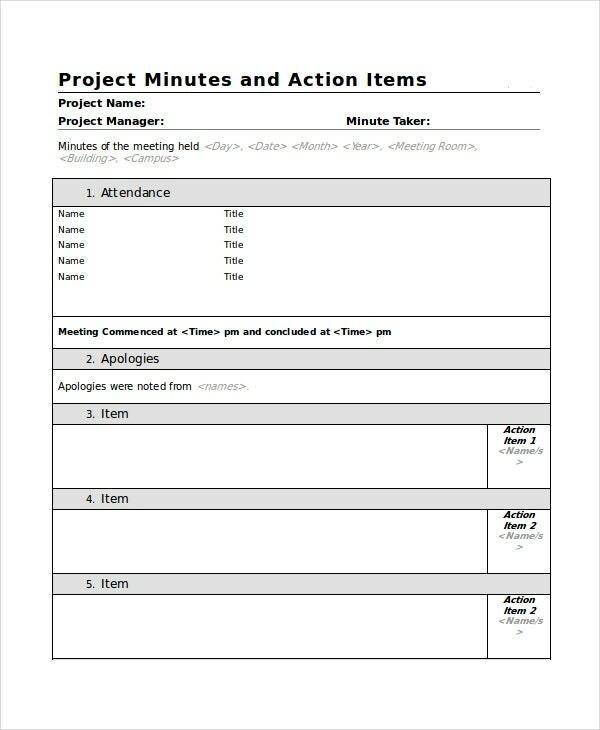 This Meeting Minutes Templates sample presents the project name, meeting date, time, location and facilitator. It provides objective of the meeting, meeting attendee’s names and meeting agenda. It also presents minutes of the meeting by recording the objective and meeting attendant’s names. 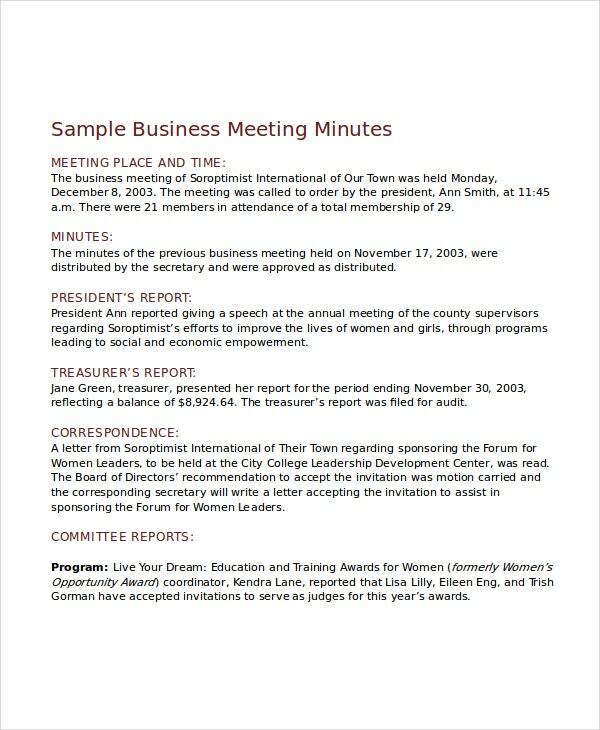 This meeting minutes format provides location, objective of the meeting and the minutes of the meeting in detail. 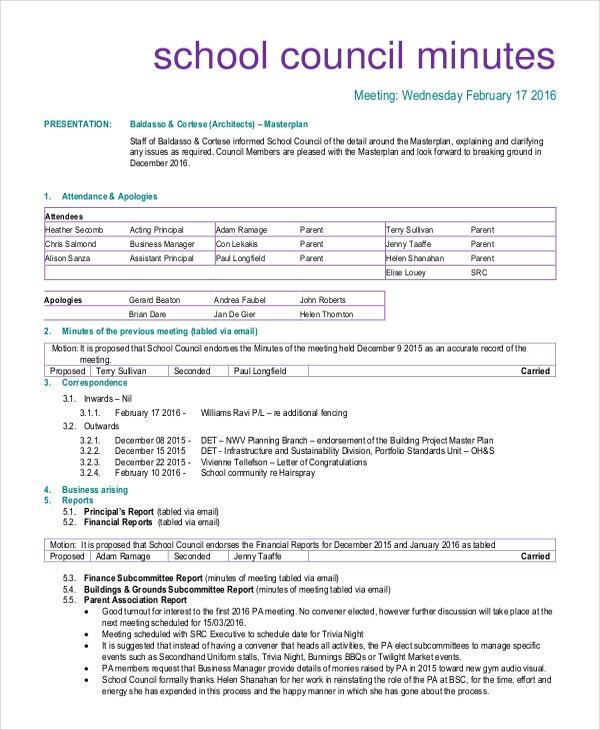 It presents the members of the meeting, items and issues discussed, action plan and the email address of the members to whom the minutes will be sent. 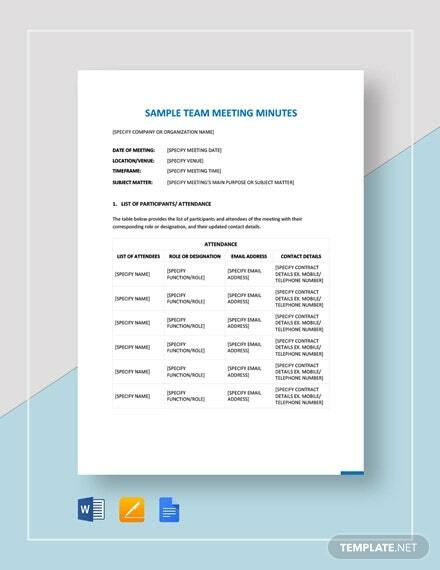 This professional meeting minutes template provides details such as presentation details, subcommittee meetings, discussion about subcommittee reports, and video conference meeting minutes as well. 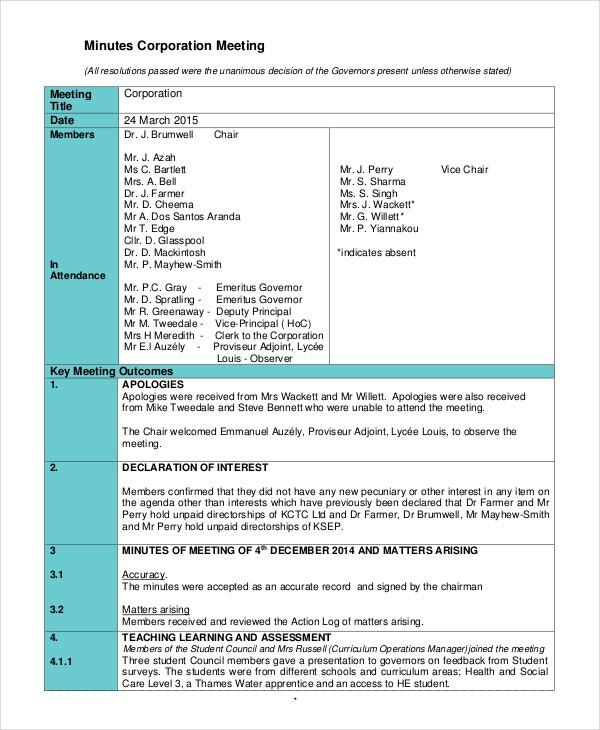 It also mentions the names of the members present and the absentees. 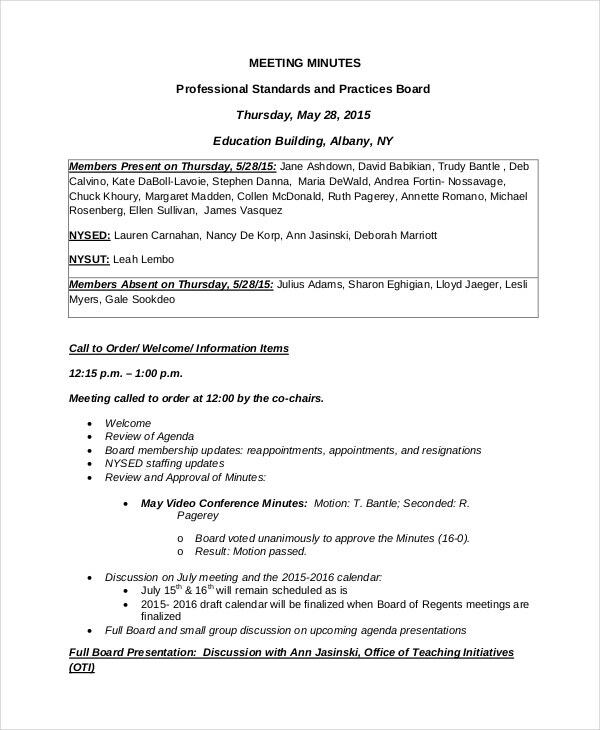 This board meeting minutes template word presents the meeting discussion details, meeting date and time, meeting location, and presiding members details. 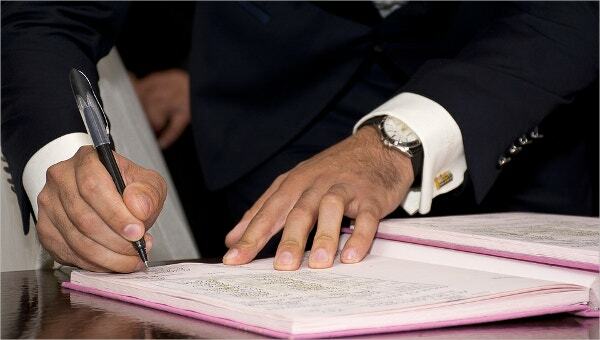 It also provides the approval of minutes of the previous meeting. 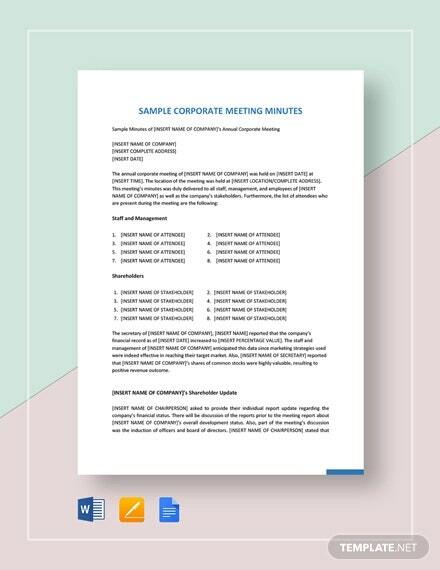 This corporate meeting minutes template provides the title of the meeting, date, members of the meeting and the attendee details. It records the key meeting results and various reports like quality, learning, and standards committee. It also records action points. 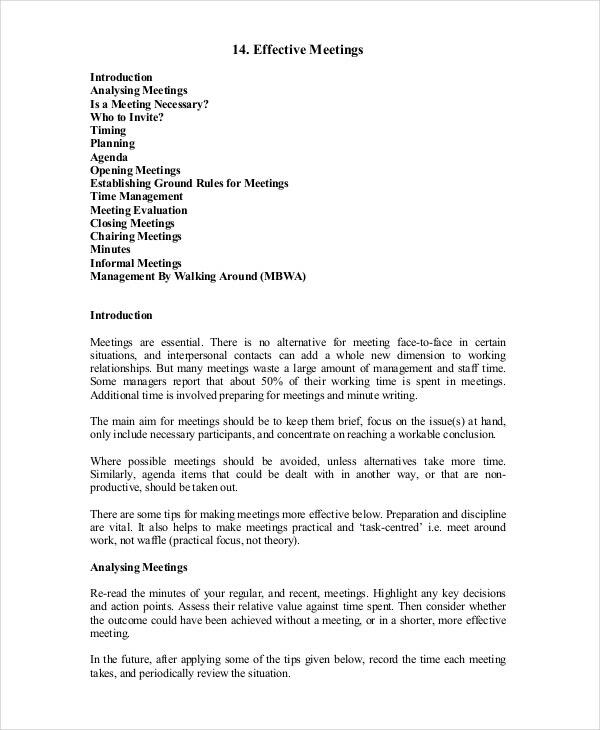 > How to Write Effective Minutes of Meeting? Since the minutes of meeting encompass the meeting details, to record minutes effectively, one should focus on conducting the meeting successfully as well. The person who records minutes should work along with the chairperson and ensure in preparing meaningful meeting agenda. 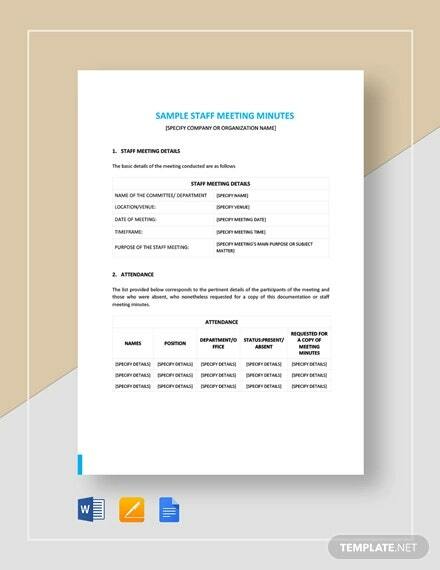 The minutes should record the meeting attendees, the location and date, time of the Meeting Minutes Templates as well as the objective of the meeting. They should include important discussions made by the members, and also the action plans and reviews of the previous meeting minutes. They should also mention the next meeting date and location. The minutes should be recorded briefly but it should comprise all the details. 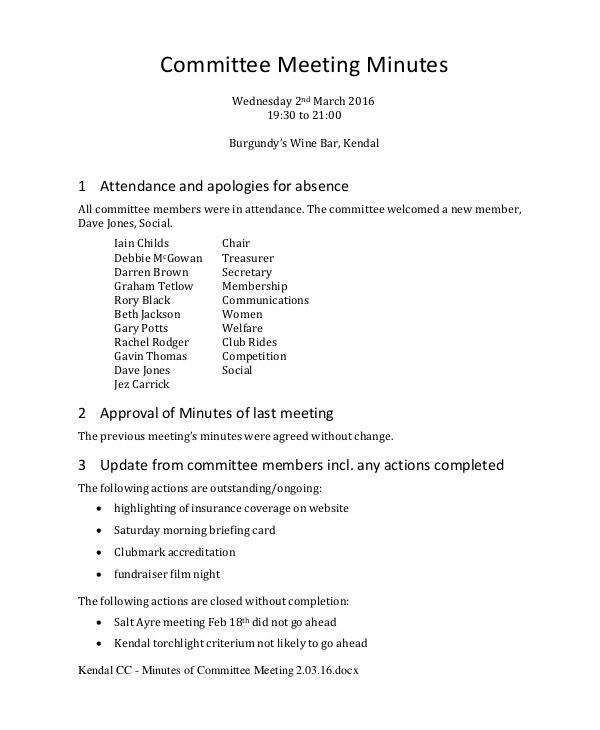 They should be circulated to all the attendees and members of the meeting. > What are the Benefits of Minutes of Meeting Template? They should help to record the critical information of the meeting. They should enable to capture discussions, presentations, and views of the attendees. They should also record action points and persons responsible for working on them. They should help to record important decisions and company’s future plans. They should enable to capture the data authentically by attaching reports and proofs. They should help in recording the names of the attendees as well as members. They also enable to record objections raised by the attendees over the decisions made by the committee. They should enable to review the previous meeting minutes and progress of the action plan. > What are the Mistakes to Avoid While Preparing Minutes of Meeting? One of the common mistakes to avoid while preparing minutes of meeting is trying to write the entire meeting discussions in detail; instead, one should focus on writing a single line of the item and the action plan for the corresponding item. 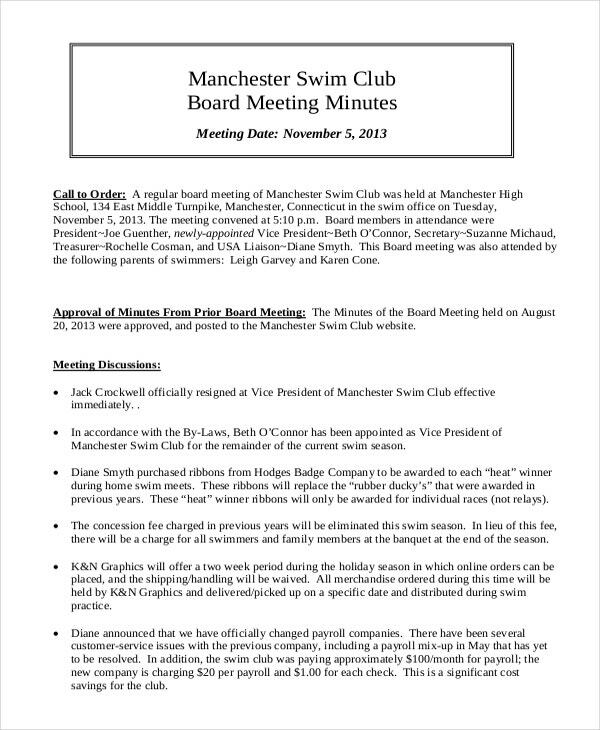 When objections are raised by members, one should not mention the names of members who protested, but write lines as “some members raised objections”. One should not forget to attach reference copies, proofs and reports which help in augmenting the meeting discussions. 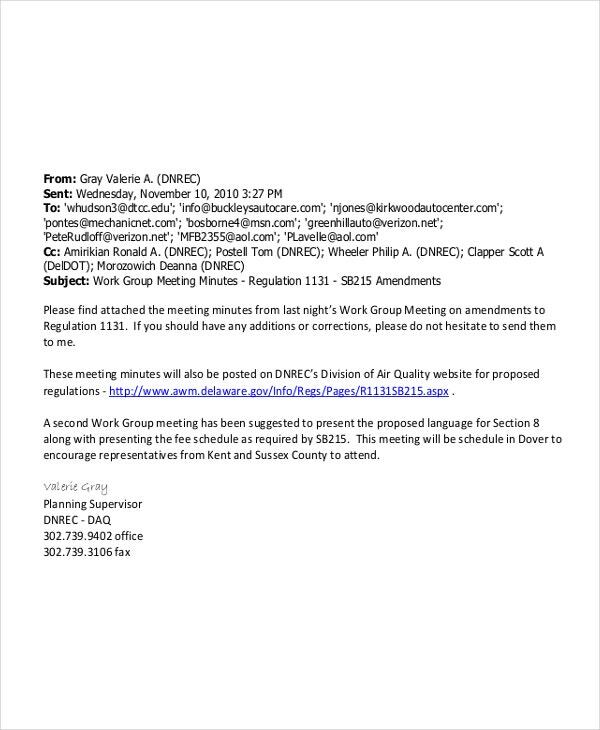 One should proofread the minutes of Meeting Minutes Templates before circulating it to all the relevant members of the meeting as well as the attendees. Meeting minutes help in ensuring the recording of important decisions taken during the meeting and also in reviewing the action points. They also ensure that meetings are concluded in a productive way. They provide a lot of word templates which can be easily modified and used for business meetings.